Former President Mohamed Nasheed has contested the credibility of police and military officers as state witnesses in a terrorism trial over the military’s detention of Criminal Court Chief Judge Abdulla Mohamed in January 2012. The opposition leader, who has denied ordering the arrest of Judge Abdulla, contended the role of the police and military officers in his February 2012 ouster and Judge Abdulla’s arrest raised questions over their credibility. Chief Inspectors of Police Ahmed Shakir and Mohamed Jamsheed testified at a third hearing last night, and claimed Nasheed —in a meeting with senior police officers on January 18— had said he would not allow Judge Abdulla within 100 feet of the courthouse. The Criminal Court blocked Nasheed’s lawyers’ attempts to determine credibility of witnesses, at times ordering lawyers to focus on the content of the statement rather than the identity of the witness or the level of their involvement in the events of February 7. Presiding Judge Abdulla Didi said judges would decide how much weight each witnesses’ statement would carry. The three judge panel—Didi, Abdul Bari Yoosuf and Sujau Usman—also refused to revise its ruling to keep Nasheed in police custody until the end of the trial. Shakir told the court Nasheed in the January 2012 meeting had said Judge Abdulla was destroying the criminal justice system, and undermining the judicial watchdog Judicial Services Commission (JSC) by disobeying its orders, and would bar him from within 100 meters of the courthouse. A visibly nervous Jamsheed, however, first said he had also heard Nasheed say he would order the arrest of Judge Abdulla at the meeting with police officers. When Nasheed’s lawyers pointed out the January 18 meeting had taken place after the judge’s arrest, Jamsheed said he had heard Nasheed say the judge must be isolated. Lawyer Abdulla Shaairu then questioned Jamsheed on his whereabouts on February 7, whether he had been active inside or outside the police head quarters, and when he had received a promotion from Inspector to Chief Inspector. When state prosecutors objected to the questions, Shaairu said the defence must determine if witnesses had any animosity towards Nasheed, given their role in the events leading up to his resignation. Judge Didi dismissed the defence’s claim, saying judges regularly posed questions to witnesses. Lawyer Ibrahim Riffath appealed to judges to release Nasheed from detention, stating the High Court had rejected the former president’s appeal of the Criminal Court’s decision to deny him bail. Despite lawyer’s assurances to the contrary, the Criminal Court said they feared Nasheed may abscond from trial and rejected the request. Nasheed was denied legal representation during his first hearing. He was arrested on February 22, and his trial under new charges of ‘terrorism’ began the next day. Speaking to the press outside, lawyer Hisaan Hussain said the High Court threw the appeal out, claiming the Criminal Court’s detention ruling was in fact a court summons. In a statement before the trial began, the lawyers expressed concern over inadequate time to prepare their case. In a March 2 hearing, the legal team requested 30 days to mount a credible defence, but judges gave them one day. The Criminal Court, however, has argued Nasheed’s team has had case documents for three years, as the new terrorism charges are based on the same documents as a previous arbitrary detention charge, now withdrawn. The statement also noted the judges’ refusal to withdraw from the bench on the March 2 hearing, despite their involvement on the scene during Judge Abdulla’s arrest and involvement as witnesses during the police and Human Rights Commission investigation. The next hearing is to be held at 9pm tonight. The Maldivian Democratic Party (MDP) and Jumhooree Party (JP) marched in Malé last night in a bid to rally supporters for a massive demonstration on February 27. MDP Chairperson Ali Waheed said the February 27 gathering would usher in “a second February 7,” referring to the day former President Mohamed Nasheed resigned in 2012 following a police and army mutiny. The allied opposition parties claim the ruling Progressive Party of the Maldives (PPM) has repeatedly violated the constitution. They have held nightly protests since February 11 calling on President Abdulla Yameen to resign. The PPM has described the protests as an attempt to disrupt the peace and dismissed the opposition’s claims as baseless. “When a government oversteps its bounds, the public must stand up. We must come out tomorrow night as well. Especially on February 27, the second February 7, everyone must come out onto the streets, with their families, as if it were an Eid,” Waheed told reporters. Opposition supporters, led by MDP’s Nasheed and JP leader Gasim Ibrahim, set out from Usfasgandu at 8:30 pm, circled the city of Malé and stopped at police barricades in front of the Maldives Monetary Authority building. Four opposition supporters carrying MDP flags were arrested from the Republican Square after the march ended at 1:00am. Speaking to reporters last night, Nasheed said Yameen’s administration had lost all legitimacy with the JP’s recent split from the coalition. “There is no support for President Yameen. We believe Maldives needs fresh elections,” he said. Gasim told reporters the JP had been forced to the streets to establish justice and end executive influence on independent institutions. “I believe in a government of the people by the people,” he said. As the opposition marched, the PPM held a rally at the Alimas Carnival in support of President Yameen and announced two MPs and 15 councilors had defected from the JP to the ruling party. The PPM’s 400-strong march prior to its evening rally, consisted mostly of young men wearing pink head bands. Some had their faces covered. Tourism Minister Adeeb said MDP labeled young men as thugs, and said only the elderly supported the opposition. An Indira Gandhi Memorial Hospital worker at the opposition rally who wished to remain anonymous said she was a loyal MDP supporter and had no issues working with JP supporters, despite their key role in Nasheed’s ouster in 2012. “We can stomach it. Yameen’s government has no principles. They are robbing the people, they are all thieves,” she said. MDP Chairperson Waheed described the turnout as “an encouragement” to all citizens and said 20,000 people would participate in the Feb 27 rally. President Yameen last night called on Gasim to remember the events of February 7 and end his alliance with the MDP. He also warned Nasheed he would not hesitate to implement a jail sentence, referring to stalled criminal charges over the detention of Criminal Court Judge Abdulla Mohamed in January 2012. Yameen’s former Defense Minister Mohamed Nazim is currently in police custody on charges of treason and terrorism. 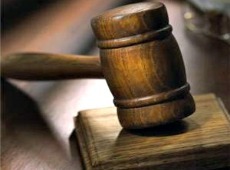 Five cases involving four police officers accused of committing acts of brutality in February 2012 are ongoing at the Criminal Court, Attorney General Mohamed Anil informed parliament today. At minister’s question time, opposition Maldivian Democratic Party (MDP) MP Eva Abdulla asked how far investigations into police brutality – as recommended by the 2012 Commission of National Inquiry’s (CoNI) – had progressed. “With respect to the administration of justice, in particular concerning allegations of police brutality and acts of intimidation, there is an urgent need for investigations to proceed and to be brought to public knowledge with perpetrators held to account and appropriately sanctioned,” read the second recommendation of the report. Anil explained that the Police Integrity Commission (PIC) had investigated 45 cases of alleged police brutality and made a recommendation to the home ministry to dismiss six police officers. After the ministry instructed police to take disciplinary action against the officers, the police disciplinary board investigated the cases and sacked one officer. However, the disciplinary board decided there was insufficient evidence to prove wrongdoing by the other five officers and decided not to dismiss them pending the outcome of a trial. Four of the accused officers were nonetheless removed from “front line” duty and transferred to different departments, noted the attorney general. The PIC had also submitted cases involving six police officers to the Prosecutor General’s (PG) Office to press assault charges, he continued. Of the cases filed at the Criminal Court by the PG’s Office, Anil said one case had been concluded and has since been appealed at the High Court. Moreover, he added, cases involving three other officers were sent back to the PIC due to incomplete information with instructions for resubmission. The PG’s Office also decided not to prosecute three police officers accused of obeying “unlawful orders,” Anil noted. Of the 45 cases investigated by the PIC, the attorney general explained that the commission decided there was no evidence concerning 14 complaints, while there was insufficient evidence to identify the officers responsible for 11 acts of brutality. The remaining cases involved procedural violations, he added, concerning which the PIC recommended strengthening institutional mechanisms. Following the recommendation to the home ministry, Anil said efforts were undertaken to familiarise police officers with laws and regulations as well as to strengthen ethical training, while further courses were formulated and conducted. On February 8, 2012, thousands of MDP supporters took to the streets of Malé in a protest march after former President Mohamed Nasheed declared his resignation the previous day had come “under duress” in a “coup d’etat” instigated by mutinying police officers of the Special Operations (SO). The HRCM recommended investigations by the PIC into the “disproportionate” use of force that left dozens of demonstrators injured and hospitalised. 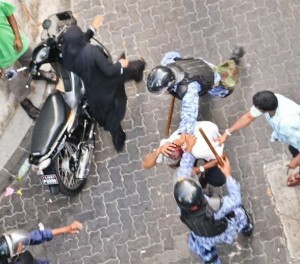 In May 2013, the PG’s Office pressed charges against two police officers accused of assaulting MDP MPs ‘Reeko’ Moosa Manik and Mariya Ahmed Didi during the violent crackdown. Amnesty International meanwhile warned that failure to prosecute police officers accused of human rights abuses and “serious failings in the justice system entrenched impunity”. In June 2013, former PIC member Hala Hameed told parliament’s government oversight committee that the cases involving the six police officers were “not disciplinary issues, but crimes,” expressing concern with the home minister’s refusal to suspend the officers. In February this year, Shahinda told Minivan News that detainees arrested in Addu City on February 9 were “forced to walk on smoldering coals”. According to the HRCM report, 32 people filed complaints concerning varying degrees of injuries sustained in the crackdown, while 20 people submitted medical documents of their treatment of injuries. Two fingers on the left hand of one demonstrator were crushed, the report noted. In a report in May 2013, the UN Special Rapporteur for Independence of Judges and Lawyers Gabriela Knaul warned that there could be more instability and unrest unless serious human rights violations of Maldives’ authoritarian past are addressed. With two years having passed since his controversial removal from power, Mohamed Nasheed – Maldivian Democratic Party (MDP) figurehead, and runner-up in November’s presidential election – speaks with Minivan News about past controversies, the present government, and the future of Maldivian democracy. Daniel Bosley: Looking back, what do you feel are the long-term effects of February 7 – on yourself personally, as a politician, and on the MDP? Mohamed Nasheed: It’s not so much on what I have personally experienced but I think if you look at what has happened to the country after the forceful transfer. We had in 2008 amended the constitution after a very very long period of single party dictatorial rule. One of the main difficulties in Maldives politics has been transfer of power – the peaceful transfer of power. In the past, transfer of powers have been mostly violent. It’s always surrounded by an aura of illegitimacy, irregular or all kinds of conflict. In some instances, former presidents are murdered, and in others they are banished or send into exile, so the transfer of power has always been an issue for us, and one of the main reasons for the 2008 constitution was to provide for a transfer of power. If you have a look at the first constitution of the Maldives in 1932, even then the main reason for that constitution was to see who would assume power after the sultan at that time – Shamsuddeen – would it be his son or someone else. So, while transfer of power has been so fundamental – so important – for our stability and for our development, and while the constitution aims at providing a mechanism for that transfer, in 2012 we saw the state being very violently challenged and the transfer being very forcefully done. What therefore that leads to – especially when the international community legitimised that transfer – it looks like it is normal. Now, come mid-term, any other group of politicians or any other group of people can again attempt to transfer power because apparently this is legal. I think that because that transfer was legitimised, that this is going to crop up in our political life on and on and on again. DB: As a historian yourself, how do you feel the last two years will be viewed by future generations in terms of the country’s history? The two years of [Dr Mohamed] Waheed’s coup government and then the interference of the Supreme Court in the election process, and therefore the ability for them to consolidate power through the facade of the ballot box, has of course installed them in power. But I would still argue that this is fairly temporary. I wouldn’t see this as having achieved long-term stability. This is very early in the day and we can now already see the cracks. [President Abdulla] Yameen with 25 percent of consent would find it very difficult to rule – it’s not going to be possible. And the idea that an alliance of Yameen and Gasim and Adhaalath can be maintained is I think a myth, and you’re seeing this now. We’ve always argued that this doesn’t work. Coalitions work in parliamentary systems where you can actually have ministers coming out from the parliament and therefore it’s possible to come to an arrangement. But when the cabinet is not in the parliament, an alliance doesn’t necessarily work. The shuffling or the portions given to different parties are given from the cabinet, and the cabinet is a very superficial layer on the government. The actual essence is the parliament where you make the laws. DB: There have been reports that you ordered the withdrawal of police from the artificial beach area on February 6, as well as the removal of the MNDF cordon from Republic Square the next morning. Looking back, would you have handled things differently in the run up to the transfer? I was getting reports of a coup from General Nilam, who was intelligence chief of the military, and he’d been reporting the coup since the end of the SAARC summit [November 2011]. Soon after the summit he wrote his first dispatch, his first intelligence reports, and he has sent a number of intelligence reports saying that this was brewing. Now, the perpetrators of the coup, or those who were scheming it – the opposition and the judiciary were with them. We were not able to investigate General Nilam’s findings – or his intelligence reports – because the courts wouldn’t allow us to do that and therefore, although we knew that this was coming up, we found it very difficult to attend to it or suppress it without forceful means, which in the legislative framework it was almost impossible because the judiciary were hijacked by Gayoom-era judges. Now, did I ask the police to withdraw the cordon at the artificial beach? First, in our government I don’t give detailed orders to the rank and file of the police. Neither do I do that to the military. Withdrawal of the police at that instance from there, if it was the proper thing or not? If the police hadn’t withdrawn at that instant I think – given the intransigence of the police, given that the police were scheming – the chief of police and a fair amount of us knew at the time that there were elements within the police who were in the coup scheme. So, I think that the police or anyone who was instructing the police there would know the risks of having a hostile police force trying to maintain peace between the MDP supporters and the present government supporters. General Nilam was sending intelligence reports that were fed to the police and everyone else. The police themselves had a number of reports saying that trouble was brewing up and that this had spread into the police and the military. The extent that it had gone into military I didn’t know at that time – I didn’t think it was to that extent – but to the police, we knew it very well. Those who were in charge knew it very well and, while the police were in the scheme, to assume that they would maintain peace between MDP and the opposition – that was difficult to understand and I think they wanted the MNDF there. DB: So, essentially, it’s diffcult to think of any way you could have handled things differently? MN: Oh yeah, we could have shot everyone. It’s essentially very simple to suppress a public uprising, it’s fairly simple, but the question is always ‘would you want to do that’. We didn’t think this was a proper thing to do, We didn’t think there should have been a confrontation between the MDP and our opposition and it was very unfortunate that the police behaved so badly. I still believe that these people must be prosecuted, I still believe that [Mohamed] Nazim, the minister of defense, must be prosecuted. DB: What lessons did you take from the presidential election loss – about yourself, about your party, about your country? MN: We’d come from a very small idea – to become the leading political party in this country. When you ask me that question – let’s say this country had a very long history of democratic politics, and let’s say that those who had done the work to democratise the country had passed away and those who were facing the election at this instant didn’t have a knowledge of what happened before. Now because our changes were so recent, and it has been so substantial, it’s simply amazing how 105,000 people of this country decided that they want to change. I would argue that the ancien regime – the Gayoom regime – lost it. With all the institutions, with everything, the vast majority of the people of this country wanted an MDP government, which would have been a more open government, which would have been more international, which would have been more tolerant, which would have departed from our normal things – far away from what any other presidential candidate would have done. To have got that mandate – to depart from so feudal a system, I think is just very very amazing and I’m very happy about it. I think we’ve installed the MDP as a political force, as a political party that is here to stay. Gayoom’s PPM [Progressive Party of Maldives] changes – from DRP [Dhivehi Rayyithunge Party] to PPM – but here I think we have been able to maintain. DB: The religious lobby has been another constant over the past two years’ events, and the slogans used by the now-ruling coalition played a prominent role in the election. How do you see these groups affecting Maldivian politics in the long term? MN: Again, after all that rhetoric, 105,000 Maldivians simply decided it was rhetoric and there was nothing to it. They were loud but the fact is that they keep losing – Adhaalath party as an idea keeps losing. I think people understand their fabrications. DB: Looking at the recent MDP primary elections, the leadership has been accused of manipulating certain primary elections to secure seats for more established members. How effect do you feel this affects the reputation of the party and the enthusiasm of its members? MN: Elections have losers and winners, and very often losers find that they must get time to digest the defeat and therefore there’s always a tendency to blame the process. I think, given the circumstances and the facilities available to political parties such as the MDP, we did very well. We have an elections committee, which functions independently. We have a disciplinary committee and we also have an appeals committee within the party. I’ve seen these three organs functioning very well, and I think the elections were very transparent and there is nothing wrong with that – I’m very very sure of that. We can’t do that – it’s just not possible. I can’t even tell [close associates] to do it, and then these elections are conducted by hundreds of volunteers. How in God’s name can I ring some fellow down in Maakurath and ask him to fix the ballot? It’s just not possible. It’s too decentralised and it’s too widespread for anyone to fix. There was an issue for some candidates, with PPM members and Jumhooree Party members and Adhaalath members – previous members – being on our voter lists. Now, the party decided that anyone who joined the party before December 19 would be eligible to vote. Then, if candidates decide to bring in former members from PPM and so on, we increased our party by 16,000 people. Even if they are from other parties – we’ve found that 5000 of them are from other parties. Our experience is that more than 70 percent of them remain even if their candidate loses. DB: Regarding relations with the new government, you have talked about the MDP acting as a responsible opposition, but also of working to impeach President Yameen. Do you consider this to be a legitimate government with which the MDP intends to cooperate? MN: The MDP shouldn’t co-operate with any government, the MDP should only co-operate with an MDP government because we are a political party and our position is to contest the opposition – make it accountable. Making it accountable basically really means using the legal processes available to deal with the government. I think President Yameen would very much expect us to make the full use of whatever facilities and mediums are legally available for us. I am sure President Yameen wouldn’t have any other idea – it would be strange if he had any other ideas. [That] we would for instance support their cabinet, we would for instance support their policies – no, we wouldn’t do that. What we would do is we would not do anything illegal. DB: What are your initial thoughts on the first 100 days of the Yameen presidency and his proposed policies? MN: One [issue] was slicing the government – distributing government positions among Gayoom families and political parties. Not necesarilly so much political parties, but among their families. [Another is] the number of government positions they have come up with – how huge the government is. I think we are probably now bigger than the Kremlin. It is in fact looking more like a Mughal kingdom. A better comparison would be with Zafar – the last Mughal emperor. Zafar’s government and the number of ministers, the number of courtiers, the number of assistants, the number of everything that they had, and the number of everything that President Yameen is having to have. It’s comical. It’s not really a contentious political issue. It’s sad though because the drain is on the treasury. We are also looking at how they have honoured sovereign contracts after the transfer of power. They said with the GMR issue, that contract was void ab initio and so on and so forth so we’ll be looking at that. We think that this government is very secretive. We were publishing government income and expenditure every week, they’ve stopped that. We were having a cabinet meeting every week, they’ve stopped that. We were having a press conference every week, they’ve stopped that. We were communicating with the public all the time, and they haven’t done that. We feel that this is a very secretive government. How they are managing finances: it all looks like how much should we make available for businessman A, for businessmen B. Nothing for social security, nothing for the fishermen, nothing for any of the other people. Taxes keep on coming up but we think that their tax system is again taking the country back to the financial system prior to 2008. They are taking it back to Gayoom’s financial system. They are not fulfilling any of their pledges. The projects that were ongoing through multinational finance and so on, they’ve all stopped. So we don’t think they are doing a very good job and the people have every right to get rid of them. DB: What are your initial thoughts on the stabbing of Alhan Fahmy and the safety of politicians? MN: It’s very dangerous and it’s very worrying. Dr Afrasheem’s murder and the police not being able to do a better job with that, and now Alhan – it’s so sad. So young and so vibrant, and with a bright political future in front of him and cut down in his prime – it’s not good. DB: Is the MDP’s loss in the presidential election a set back for fight against climate change? MN: We were doing a lot of international work on climate change and we don’t see that kind of commitment from the present government, and it’s unfortunate. We would like another vulnerable country to pick up the work – someone who is more concerned about these things. I’m speaking to like-minded leaders about this. I’ve just been to Abu-Dhabi for Sheikh Zayed’s future energy prize, which I have been on the jury for the last three years. I did meet a number of heads of state – like-minded people who wanted to do something about it. DB: What does the future look like for Maldivian democracy? Will you be standing again in 2018? I’ll be seeking election in 2018, and I think we have a bright future. But the immediate future is bleak, I would argue – it’s difficult. The President’s Office has declared that statements made to the Commission of National Inquiry (CNI) concerning the legality of President Mohamed Waheed Hassan’s controversial ascension to power have been made confidential in order to protect those who testified to the commission. Media Secretary of Presidents Office Masood Imad told local newspaper Haveeru that the CNI had agreed to protect those who gave evidence to the commission. According to the government, President Waheed in March issued a presidential decree declared that all materials relating to the CNI would be declared a national secret and kept from the public. “If the statements [given to the CNI] get published in public, [those who gave evidence to the commission] may face dangers and may be threatened. It is with the recommendation of the CNI panel as well that the statements had been made confidential,” claimed Masood. Defence Minister Mohamed Nazim told the newspaper that according to the presidential decree, the documents will be kept confidential and safely stored for a period of 25 years. The defence minister said that the decision was made in adherence to Sections 22(b) and 22(c) of the Right to Information Regulation. According to Section 22(b) exceptions to Right to Information include information which if released could prompt a lawsuit against the government for failing to ensure confidentiality, while Section 22(c) states that exception can also be made to withhold release of information if it would lead to difficulty for the government in obtaining similar information in the future. According to Nazim, the president had given the defense ministry the responsibility on making the information confidential and keeping the assorted documents, audio, videos and photographs in the ministry’s custody. “It hasn’t come to our hands as of yet. But we are working on bringing into our custody,” Nazim said. 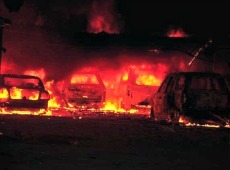 In late January 2012, a 22 day continuous anti-government protests led by then opposition figures and religious scholars following the controversial detention of Chief Judge of Criminal Court Abdulla Mohamed escalated into a mutiny by certain elements within the police and the military. By midday of February 7, 2012, then-President Nasheed had exhausted all his options to establish a chain of command within the ranks of police and military, and was left trapped inside the Maldives National Defence Force (MNDF) barracks surrounded by rebelling police and military forces along with an angry mob of anti-Nasheed demonstrators which had been armed by the security services. The current Defense Minister Nazim – who was a civilian at the time – entered the barracks and gave an ultimatum to Nasheed, “resign or face the dire repercussions”, to which Nasheed conceded and resigned. Then vice President Waheed subsequently ascended to power. The following day, Nasheed and the MDP along with thousands of supporters took to the street in protest of the new regime change, but were met with harsh crackdown by what the Human Rights Commission of the Maldives (HRCM) later described as an “emotionally charged” police and military. In June 2012, following strong local and international pressure – primarily from the Commonwealth – President Waheed was forced to reformulate the Commission of National Inquiry (CNI) to include representatives from the MDP and international community. The national inquiry commission included three members handpicked by Waheed, a Singaporean judge and a representative of former President Nasheed. The commission interviewed several individuals as well as reviewed photographs, videos and other documents relating to the transfer of power which Nasheed’s Maldivian Democratic Party (MDP) had alleged was a “bloodless coup d’état” that forced the first democratically elected president out of office. Prior to the release of the commission’s findings, Nasheed’s nominee to the commission Ahmed ‘Gahaa’ Saeed resigned in protest from the commission contending that vital information concerning the power transfer was deliberately disregarded in order to achieve a certain outcome. “I realised it was all going wrong,” Saeed said at a press conference held after his resignation. In a letter he wrote to the commission’s co-chairs, Saeed cited concerns including the withholding of evidence, non-cooperation from crucial witnesses, non-examination of witnesses, witnesses being intimidated or obstructed, testimonies and evidence that was not reviewed, and organisation by the CNI secretariat. The CNI went onto announce its finding in which it claimed there was neither a coup as alleged by the former ruling party MDP nor was there any substantial grounds to question the legitimacy of President Waheed’s ascension to power – much to the dismay of former President Nasheed and the MDP. “In sum, the Commission concludes that there was no illegal coercion or intimidation nor any coup d’état. The Commission has received no evidence supporting or to substantiate these allegations. This disposes the main mandate of the Commission,” read the report. The report and the commission’s website were subsequently taken off-line. A subsequent legal analysis of the commission’s report on the request of the now opposition MDP by a team of high-profile Sri Lankan legal professionals – including the country’s former Attorney General – accused the commission of exceeding its mandate, selectively gathering and acting upon evidence, and failing to adequately address the fundamental issue with which it was charged: determining whether the former President resigned under duress. “[The CNI] appears to have abdicated its duty to objectively and reasonably bring its collective mind to bear on whether or not there was duress involved in the purported resignation of President Nasheed,” concluded the detailed report. The authors included two Sri Lankan Supreme Court attorneys – Anita Perera and Senany Dayaratne – and the former Sri Lankan Attorney General Shibly Aziz. “The [CNI] Report offends the fundamental tenets of natural justice, transparency and good governance, including the right to see adverse material, which undermines the salutary tenets of the Rule of Law,” it claimed. “Even by the yardstick of ‘coercion’ or illegal coercion which the [CNI] has incorporated for reasons one cannot fathom – given the clear mandate – ex facie the events accepted by the “[CNI] and without anything more, does strongly and convincingly establish the ‘coercion’ or ‘illegal coercion’, the yardstick chosen by the [CNI],” the report noted, in support for the claim of an illegitimate ousting of a legitimate head of state. A review of the CNI report by Parliament’s Executive Oversight Committee – the parliamentary select-committee mandated with overseeing the government and its agencies – led to the announcement by the committee’s chair that the report was “flawed”. The Committee Chair MP Ali Waheed told local media that many interviewed by the committee claimed it lacked “key information they had given to [the CNI panel]”. “Some have even claimed their information was wrongly presented,” he said, while others who attended the committee [meeting] “have told us that key information they gave was missing from the CNI report, and said they did not accept its findings”. Dozens of statements given to the CNI were leaked to local media. Among the statements included those given by former President Nasheed and statements from senior officials from the military and police. In one of the leaked statements, MNDF Staff Sergeant Shafraz Naeem – who was commanding ‘Bravo’, one of the Bandara Koshi Battalion riot squads that confronted the mutinying police – told the CNI that he had “lost faith in the institution” after the events. “I took an oath to protect the country and the president; not to beat civilians or to mutiny. I did not take an oath to follow a mutinous general. I was never a big fan of Nasheed, but it did not matter to me who the President was that day. I would have done the same for any president,” read his statement. “In my view this was a coup. Why? I could see it from the way they handled everything, their attitude, how cool and calm all the officers were. I could tell from how cool General Shiyam was inside the MNDF. They did nothing. This is not how a uniformed officer should behave,” he said. President Mohamed Waheed has condemned the overthrow of Egyptian leader Mohamed Morsi by the military, but emphasised that the event that brought him to power in February 2012 was “different”. Morsi, President Waheed informed local newspaper Haveeru, was “a little stubborn” in his oppression of opposition views and had “failed to allow space for others”. “There are similarities in what happened in Egypt and Maldives. The difference is that the military didn’t bring the change in Maldives. 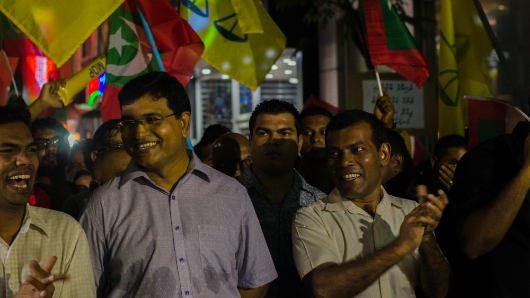 The change was brought because he [Nasheed] resigned on his own,” Waheed declared. Former President Nasheed resigned on public television on February 7, 2012, amid a mutiny by elements of the police and military, following the storming of the state broadcaster. Demonstrators who took to the streets the following day were met with a brutal police crackdown filmed by international media, and condemned by international groups such as Amnesty. President Waheed’s new ‘unity government’ meanwhile replaced the entirety of Nasheed’s cabinet with key figures in the former 30 year dictatorship of Maumoon Abdul Gayoom, ousted in 2008. “There is a huge difference in Egypt because the military took over before the president resigned. According to our constitution, when the president resigns the vice president has to be sworn in. That was what happened in the Maldives,” Waheed emphasised. “In the Maldives, the leader resigned because things became unbearable. In Egypt, the military took over because things became unbearable. It’s a totally different scenario,” he added. “We’re seeing a very clear military coup in Egypt. In order to shield the truth, unrest was incited here [Maldives] under the false pretext of a military coup. That has been proven now,” he said. Former Maldives’ President Mohamed Nasheed likewise condemned the ousting of Egypt’s first democratically-elected president by the military, and called on the international community not to give the new regime legitimacy. “The world should not kid itself into believing that this coup hasn’t derailed Egypt’s fledgling democracy,” Nasheed said. “Having experienced a coup myself, I understand how important it is for fresh presidential elections to be held quickly and for democracy to be restored. There is only one legitimate way to remove a democratically-elected leader and that is through the ballot box, not through the mob or the military,” Nasheed said. “If leaders are unpopular, the people have an opportunity to remove them peacefully through elections. Morsi was deposed yesterday at the conclusion of a 48 hour ultimatium issued by the Egyptian military. The military entered the country’s fractious political fray after millions of Egyptians took to the streets to protest against Morsi and his Islamist party, the Muslim Brotherhood. The military has taken Morsi into custody and issued arrest warrants for 300 members of his party, as well as closing down its television stations and other support bases. The head of the Supreme Court, Adli Mansour, was sworn in as interim head of state. The US, which contributes significantly to the Egyptian military, has expressed “deep concern” about Morsi’s ouster, and called for review of its aid to the country. “We are deeply concerned by the decision of the Egyptian Armed Forces to remove [President Morsi] and suspend the Egyptian constitution. I now call on the Egyptian military to move quickly and responsibly to return full authority back to a democratically elected civilian government,” said US President Barack Obama in a statement. UK Foreign Secretary William Hague meanwhile said “political realities” required the UK to recognise the new Egyptian adminstration, claiming that the country “recognises states not governments”. “It’s a popular intervention, there’s no doubt about that. We have to recognise the enormous dissatisfaction in Egypt with what the president had done and the conduct of the government over past year,” Hague said. At the same time, “We don’t support military intervention as a way to resolve disputes in a democratic system. If one president can be deposed by the military then of course another one can be in the future. That’s a dangerous thing,” he added. The Maldives Police Service (MPS) has made an announcement in the government gazette on Sunday (June 23) seeking to hire 75 “civil assistants” as non-uniformed personnel for administrative work. Shifting all administrative work to civil staff would allow uniformed personnel to attend to police work and election security matters ahead of the presidential election in September, the media official said. According to the criteria listed in the job announcement, interested candidates must have at least two O’ Level C passes, must have passed Dhivehi and Islam, and must not have been convicted of a crime with a punishment prescribed in the Quran or theft, fraud, embezzlement, drug abuse or drug trafficking in the past five years. In addition, applicants must not have sought treatment or rehabilitation for drug abuse during the past five years and must not be a registered member of a political party. The deadline for submitting application forms, available on the police website and at the police headquarters, is 4:00pm on July 4. The civil assistants will be paid monthly wages of MVR 3,470 (US$225) in addition to MVR 1,000 (US$65) a month as a service allowance and 35 percent of the salary as a non-practice allowance. The new police staff will cost the state MVR 426,300 (US$27,645) a month and MVR 5.1 million (US$330,739) a year. The announcement seeking 75 civil assistants followed the recruitment of new officers for a “special constabulary” reserve force in May this year. Reserve force officers were to be paid 85 percent of the salary of a regular police officer of the same rank. Following the controversial transfer of presidential power on February 7, 2012 in the wake of a violent mutiny instigated by officers of the Special Operations (SO) command, more than 1000 police officers were promoted, 110 new police officers were hired, a housing scheme was introduced for police officers with 300 flats to be constructed in Hulhumale’, arrangements were made for cheap accommodation in Sri Lanka for police officers and their families and a loan scheme was set up for police officers. The additional recurrent expenditure on wages for new police staff comes at a time when the country is facing a budget crisis, with island schools and hospitals understaffed, local councils unable to settle outstanding utility bills, and development projects stalled over lack of funds. In April, Finance Minister Abdulla Jihad sought authorisation from parliament to divert MVR 650 million (US$42 million) allocated for infrastructure projects in the budget to cover recurrent expenditure. Jihad warned that government offices and independent institutions might be unable to pay salaries or electricity and phone bills if funds were not transferred from the MVR 1.8 billion (US$117 million) Public Sector Investment Programme (PSIP). Earlier in April, the cabinet decided to delay implementation of new development projects financed out of the state budget due to shortfalls in revenue. Moreover, in a report on the Maldivian justice system released in May, UN Special Rapporteur for the Independence of Judges and Lawyers, Gabriela Knaul, expressed concern of an impending budget crisis for the judiciary. “The immediate implications of the budget cuts on the judiciary are appalling. For instance, the Department of Judicial Administration only has funds to pay staff salaries until November 2013 and it had to cancel training this year,” Knaul noted. “The Civil Court reported that it would not have sufficient funds to pay its staff salaries after October 2013; furthermore, existing budgetary resources would not be sufficient to pay for utilities and facilities after June 2013,” she added. During the parliamentary debate last year on the state budget proposed for 2013, opposition Maldivian Democratic Party (MDP) MPs criticised budgeted salary increases for military and police officers as well as plans to hire 800 new personnel for the security services. The state’s annual wage bill was projected to skyrocket by 37 percent in 2013 as a result of hiring more employees. MDP MP Eva Abdulla claimed during the budget debate that the police and army hired 250 and 350 new staff respectively in 2012. Consequently, the institutions spent more than MVR 75 million (US$4.8 million) in addition to the approved budgets for 2012, she claimed. Meanwhile, in its professional opinion on the budget submitted to parliament, the Auditor General’s Office observed that compared to 2012, the number of state employees was set to rise from 32,868 to 40,333 – resulting in MVR 1.3 billion (US$84.3 million) of additional expenditure in 2013. This anticipated increase included 864 new staff to be hired by the security services, the Auditor General’s Office noted. The Maldives’ first multi-party presidential elections of 2008 ended Gayoom’s thirty year dictatorship and adopted democratic rule. But, like many other nascent democracies, the threat exists that Maldives may not be able to sustain its democracy in its fullest sense. This is especially true after the coup orchestrated by the Maldivian security forces that ousted the first democratically elected President in February 2012. Added to this is the political activeness of dictator Gayoom, which in itself tends to heighten the prospect of Maldives falling back to a dictatorship. As we head to the second democratic election in Maldives history, I want to ask: will a popular election alone help foster democracy in Maldives? Moreover, how could we prevent a full-blown authoritarian reversal with power back in the hands of Gayoom? Gayoom’s continuing influence over Maldivian politics cannot be denied. This is not a unique experience for nascent democracies. Research has established that legacies of authoritarianism from which democracies emerge put more direct pressure on democracies than cultural and economic factors[i]. This kind of pressure from Gayoom’s legacy the on Maldives’ efforts towards democratic transition has manifested itself in different ways. Take, for instance, the country’s political institutions. During three years of democracy, attempts by Nasheed’s government to implement reforms needed for the consolidation of democracy were met with ever increasing obstructions from Gayoom loyalists within various institutions. Firstly, the effort to create an independent judiciary (without which a modern democracy cannot function) has been entirely undermined by judges loyal to Gayoom. The Supreme Court bench itself is composed mostly of Gayoom loyalists who share his political ideologies. It makes sense to me now that, when Majlis voted on President Nasheed’s nominations, DRP opposed most of them. Having been in a position to observe the negotiations closely, I myself believe that Nasheed’s nominations, opposed by DRP, comprised less biased, more suitable candidates. At the time, DRP was Gayoom’s party with a majority in Parliament. DRP MPs made a habit of rejecting Nasheed’s nominations and proposing a list of their own instead. They pushed hard to sit certain individuals—like self-declared Chief Justice Abdulla Saeed, a known Gayoom-affiliate—on the bench. With the country facing a Constitutional void, President Nasheed compromised and nominated the current bench for Parliament approval. Aishath Velezenee, a former Member of the Judicial Services Commission has provided a detailed account of how the process for appointing Supreme Court Judges took place. The simple truth that we all know is, Supreme Court decisions have in one way or the other, benefited Gayoom and his allies. Is it a coincidence there is yet to be a Supreme Court decision that went against Gayoom or his allies? Gayoom loyalists are similarly entrenched within the security services. Their loyalty to the dear leader had a major role to play in their mutiny against Nasheed on February 7, facilitating as it did the controversial transfer of power later that day. Gayoom has denied widely circulated reports he was directing the night’s events from Malaysia. It cannot be denied, however, that he gave a phone interview to opposition-controlled media, indirectly encouraging the mutinying police. It is no coincidence that after the coup, the head of security services are all pro-Gayoom loyalists. Now we have a Police Commissioner who served as the Deputy Commissioner in Gayoom’s regime, a regime well known for police brutality and torture. The defence minister is a retired Colonel who also served under Gayoom. Furthermore, a reflection on the events in February 8 last year also shows that our security forces still continue Gayoom’s legacies. Police brutality towards peaceful protesters, a defining characteristic of Gayoom’s regime, returned to the streets of Male’ with a vengeance, less than 24 hours after Nasheed’s government was brought to an end. It wasn’t hard to feel as if we had regressed, before 2008, before democracy. Independent institutions play a vital role in consolidation of a democracy. Unfortunately for the Maldives, Gayoom loyalists are firmly embedded within, and often dominate, institutions like the Human Rights Commission, Police Integrity Commission and Civil Service Commission. Most individuals comprising these commissions served in Gayoom’s government and still maintain close ties with him. This is hardly surprising given that just as with the nomination of Supreme Court justices, here too it was a DRP-majority Majlis that confirmed or rejected nominees to commissions. The loyalty of some independent commissions to Gayoom was indeed evident from their actions following the police brutality on February 8. Neither the Human Rights Commission, nor the Policy Integrity Commission took any firm actions against the misconducts from the security forces. Gayoom’s current party, the PPM, is so determined to retain these loyalists within the independent commissions that it is prepared to disregard even findings of serious misconduct against such individuals. The ongoing saga of Civil Service Commission (CSC) Chair Mohamed Fahmy is a case in point. Parliament’s Independent Institutions Committee found in favour of a female staff member who accused Fahmy of sexual harassment and voted to remove him from the post. PPM members fought hard, but in vain, to save Fahmy. The Supreme Court was then asked to rule on whether the parliament’s decision was constitutional. Not surprisingly, the Supreme Court ruled in Fahmy’s favour. Gayoom’s dictatorial legacy, entrenched deep within our political system is the main obstacle to the consolidation of democracy in the Maldives. The 75 year-old leader’s revived political activeness is further strengthening this obstacle. Reforms to the judiciary, independent institutions and security forces are essential if we are to consolidate and sustain democracy. [i] See for example, Shin, Doh Chull (1994), ‘On the third wave of democratization: A synthesis and evaluation of recent theory and research’, World Politics, 47 (1), 135-70. Ahmed Hamdhan is a third-year Bachelor of Arts (Policy Studies and Political Science) and a student at the Australian National University. The Maldivian Democratic Party (MDP) has called for “politically motivated” court cases against 117 protesters charged with terrorism and obstructing police duty on February 8 2012 be immediately discontinued. Nine MDP members from Milandhoo Island in Shaviyani Atoll, 28 members from Kulhudhuffushi Island in Haa Dhaal Atoll and 80 members from Addu City are currently facing prosecution. The accused include mid-Hithadhoo Constituency MP Mohamed ‘Matrix Mode’ Rasheed as well as a number of councilors and branch heads from these islands. “A lot of the accused [currently standing trial] were charged with terrorism offences and obstructing police duty,” said MDP Spokesperson and MP Imthiyaz ‘Inthi’ Fahmy. The MDP “condemned, in strong terms, these cases of unlawful and blatant granting of selective impunity from justice and calls on all concerned authorities to immediately cease this selective litigation,” during a press conference held May 20, led by Imthiyaz and MDP pro-bono lawyers Abdullah Haseen and Mohamed Fareed. The political party also voiced their “great concern” that despite the Commission of National Inquiry (CoNI) findings that “unlawful brutal acts” were committed by security services in February 2012, the report’s recommendations that actions be taken against the offenders have been “disregarded with impunity”. “Why doesn’t the government take action against those police officers when there is clear evidence of police brutality? None of the police officers have been investigated or prosecuted in line with the CoNI,” said Imthiyaz. The MDP alleged that “despite public irrefutable and credibly substantiated video and audio evidence showing security services personnel committing brutal assaults and inflicting inhuman bashings”, no credible investigations or judicial actions have been taken. Current court cases against MDP members had meanwhile been “unduly hastened”. “The police were seen to participate in a mutiny and they have openly and publicly viewed their opposition and hatred towards the MDP,” MDP Spokesperson Mohamed Zuhair told Minivan News at the press conference. “As police investigation reports make up a substantive part of the legal cases being brought against MDP activists, how can these investigations be fair when police have been publicly on the record as biased and downright malicious [toward MDP supporters],” he continued. “Within that public uprising, our activists’ primary objective was to rally and to somehow show strength, but among those came in other elements, [who] set fire to places, and then escalated the whole thing,” he added. The trials were being conducted to “intimidate the people” because elections are “very near” and the entire process was politicised, MDP lawyer Haseen told Minivan News. “They demanded the suspects be kept in remand claiming they had forensic evidence. And then when they’re produced in court, there is no forensic evidence or video footage submitted, only witness statements,” Haseen explained. “They are telling the press they have the evidence and highlighting a lot of photographs with fire, but they are not submitting these – just witness statements given by rival political parties,” he said. Haseen claimed senior Progressive Party of the Maldives (PPM) officials pointed out to the police who to arrest and were now providing the witness statements against the MDP protesters in court. “The problem is that even the island judges are not competent judges. They don’t even know criminal procedure. That’s a larger fight that we are building our campaign with that on top – journey for justice,” Haseen added. MDP lawyer Fareed concurred with Haseen that it is a “politically motivated conflict of interest” to have police and former-opposition political parties provide the only evidence – witness statements – against the MDP members on trial. “There are not any grounds for prosecution,” Fareed told Minivan News. He attended three hearings in Kulhudhuffushi, which took place May 19, against 11 MDP members, including two island councilors, and was also dismayed by how witness statements were taken. “The court they did not have a recording system, so the judge he himself was writing the witness statements in favor of the state. It was very terrible,” Fareed recounted. “That’s all that’s enough – whatever the witness says after that is not applicable, not acceptable,” he declared. “When the prosecutor asked him [the same question], the witness said ‘That man may be there but I don’t know,’ however the judge himself had already written the witness statement in favor of the prosecution,” he added. “If they continue this hearing, they should have a recording system otherwise we’ll have to stop it,” Fareed concluded. Kulhudhuffushi Court Magistrate Ali Adam explained to Minivan News today (May 23) that “all courts have recorders”. “When listening to a witness statement a judge will only write relevant remarks and things related to the accused’s rights. The witness then signs the hand-written statement,” explained Adam. “We do not consider anyone standing trial as a criminal. How can we face a person thinking he’s an enemy? We do not consider the individual’s personality or which political party he is in,” he added. The Prosecutor General, PG spokesperson, and PPM MPs Ahmed Nihan and Ahmed Mahlouf were not responding at time of press.